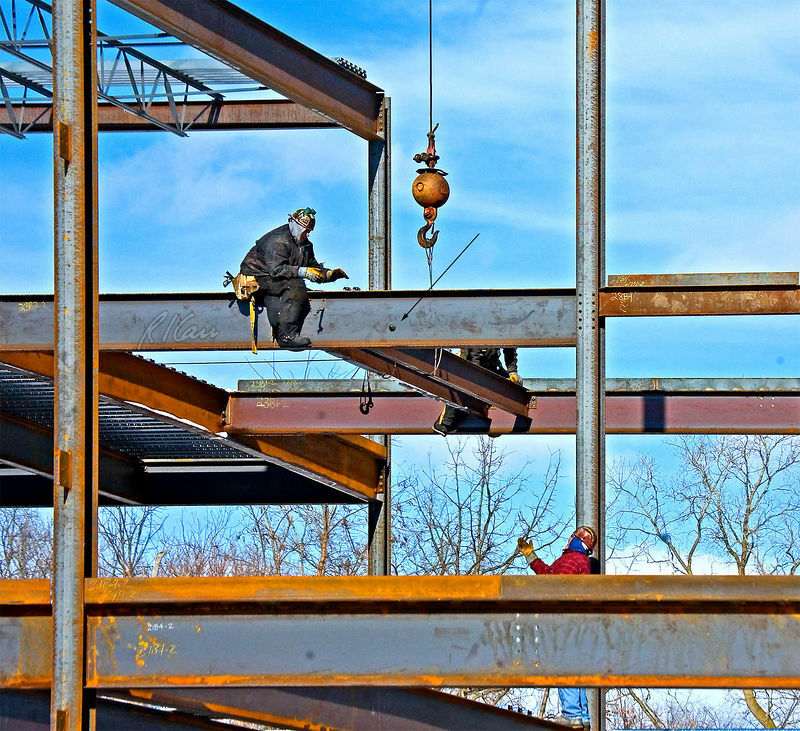 Steel construction/erection: Ironworker standing on girder near photo bottom tosses erection bolts to ironworker straddling girder above, for him to use in erecting beam(s) on opposite side of girder. Two bolts sit on top of girder flange, and third is mid air (see arrow to it from circled, slightly enlarged guide), with ironworkers hands waiting to grasp it. Ironworker standing on lower girder has no fall protection, and he is tossing bolts with the hand he would use to hold on to column. Depot Street, Ann Arbor, Michigan on a cold, windy day in February 2006.